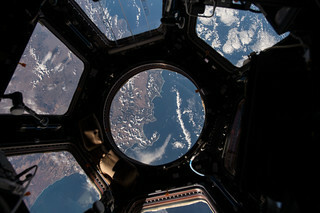 ISS043E198683 (05/16/2015) --- NASA astronaut Scott Kelly on the International Space Station took this Earth observation photo in the stations cupola that provides a 360 degree view. He tweeted this image with the comment: "The view out my window. #CapeTown #SouthAfrica. #YearInSpace".